Just because New Year’s Eve was over a month ago (how is that possible?!) doesn’t mean you should retire the punch bowl or bubbly quite yet. 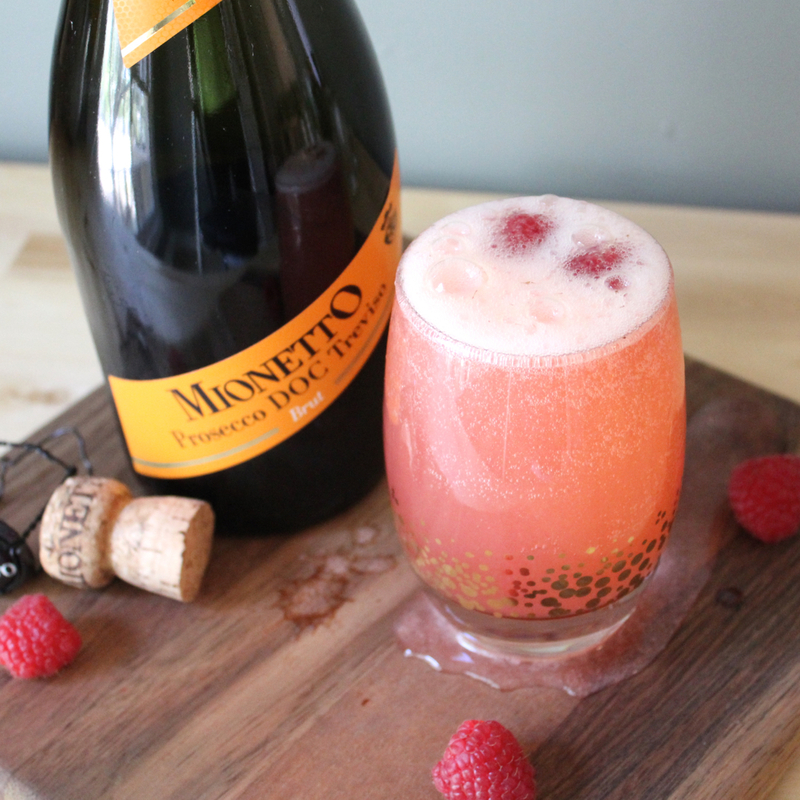 This fun twist on the French 75 takes Champagne Prosecco cocktails to a whole ‘nother level. Crushed raspberries provide the blushing hue, making it an especially romantic sip that’s perfect for your Valentine’s day celebration! 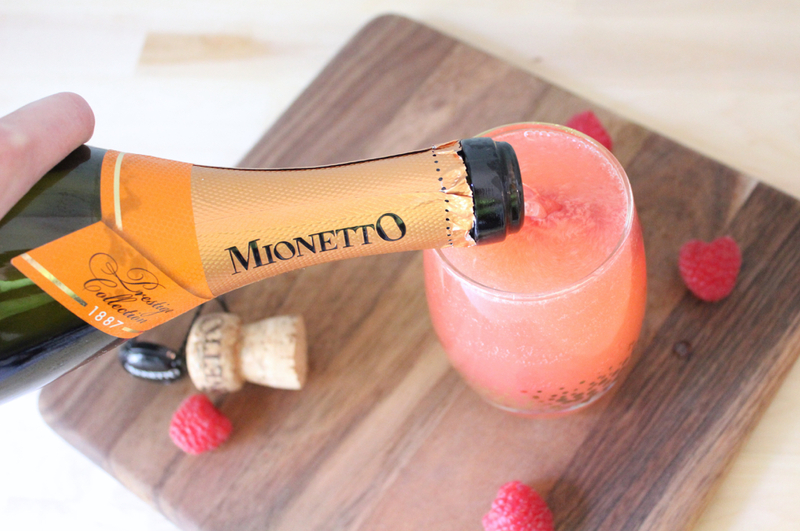 What’s your favorite way to sip on sparkling wine other than straight out of the bottle? Let’s talk in the comments or on Facebook or Twitter! If you can’t get your hands on Meyer lemons, feel free to swap the regular sort. The latter are more acidic and less nuanced flavor-wise, so I’d definitely encourage you to include the Cointreau for a more similar (and sweeter) experience. In a small jar, combine sugar and strips of zest. Muddle for about a minute (the handle of wooden spoon works great), until the sugar starts looking a little wet. Cover and set aside for a couple hours (minimum), but ideally a couple days until syrupy. Feel free to stir the mixture up every once in a while. Yields about 1/2 cup. DO AHEAD: You can store the finished (syrupy) oleo-saccharum in the fridge for at least a week. Just let it come to room temp before using. In a cocktail shaker or large Mason jar, combine 4 ounces (about 24) of the raspberries and the oleo-saccharum; muddle until raspberries release their liquid. Add gin, Cointreau (if using), lemon juice and a few cubes of ice to the jar; cover and shake vigorously until well-chilled. Strain mixture through a fine mesh sieve into a large pitcher or punch bowl. Slowly pour in Prosecco and stir gently. 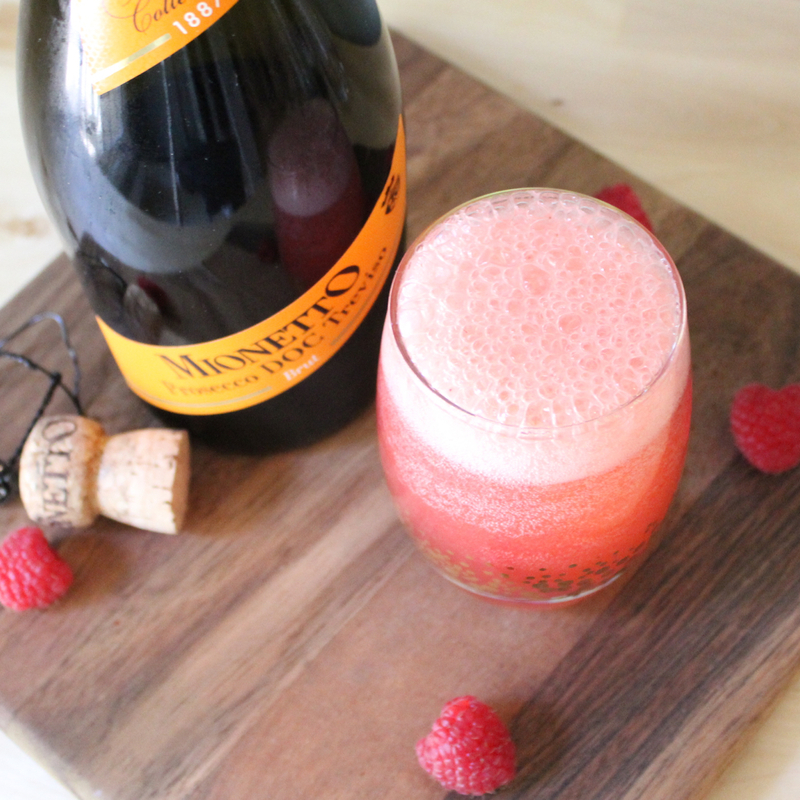 Pour into glasses (add a cube of ice, if desired) and garnish with remaining raspberries.